Does your wardrobe need detoxing? Follow these 9 unexpected steps when you are detoxing your wardrobe. These are the insider tips that I use with my clients. The secret steps that will give you biggest success. 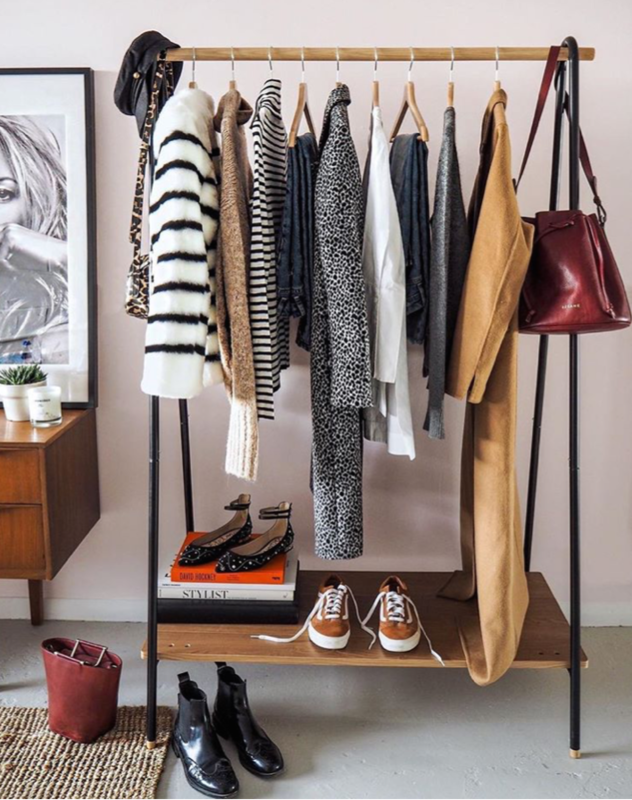 Detox your wardrobe like a Style Coach and you will get long lasting results. Organise your knicker drawer a day ahead of the big detox. Its the perfect way to get the ball rolling. Doing ‘the big detox’ can feel rather overwhelming. Getting the first thing sorted and ticked off the list makes your detox day feel achievable. How do you want to feel at the end of the detoxing? What is the main goal (other than just getting rid of stuff)? 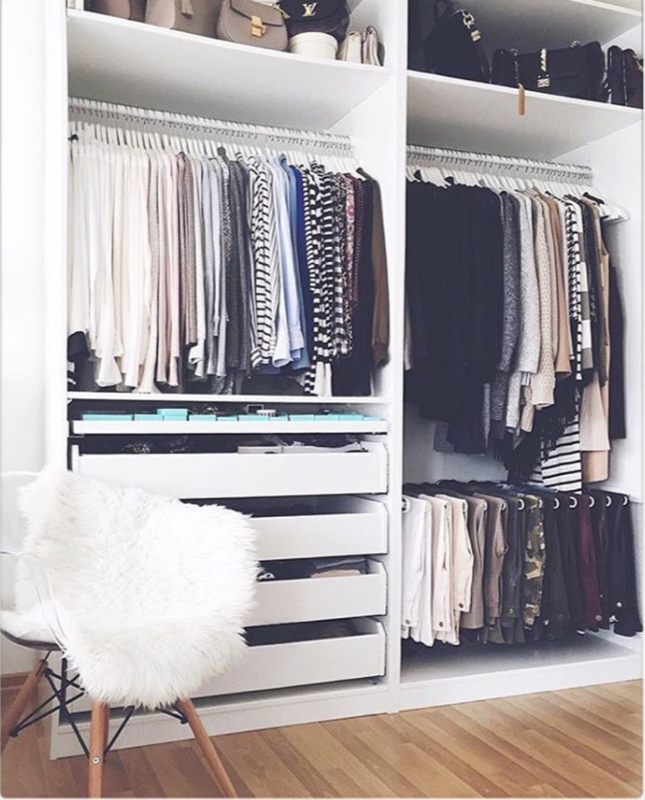 Organise your wardrobe and create more space. Set a hydration alarm to remind you to drink of water every hour on the hour. All of this keeps your energy and momentum up. 4. Put everything on the bed. This is the best way to make sure you compare all the of the same category side by side. For example jeans compared with jeans to make sure you just keep hold of the jeans that work for you. 6. Does it add to your life or subtract? Examples are: It is useful in your wardrobe and goes with lots of other things / It makes you feel excited to wear it / you’d want to wear it this week / It fits in with your current life and where you are heading this year. If you decide that something subtracts from your life but you then hear yourself justifying to keep it watch yourself. We will often pull back on what we want and justify holding onto clothes that don’t make us happy but keep us comfortable. ‘I used to fit into it (5 years ago) I’m sure I’ll get back into it’ STOP TORTURING YOURSELF get rid! Be realistic with the time you have to sell items, only keep the best items to sell, donate the rest. Familiarise yourself with preloved/second hand stores. They will sell the items for you and reduce your time on selling sites. Be aware that they won’t take everything and will have requirements for specific brands and will be very cautious about the condition the clothes are in. 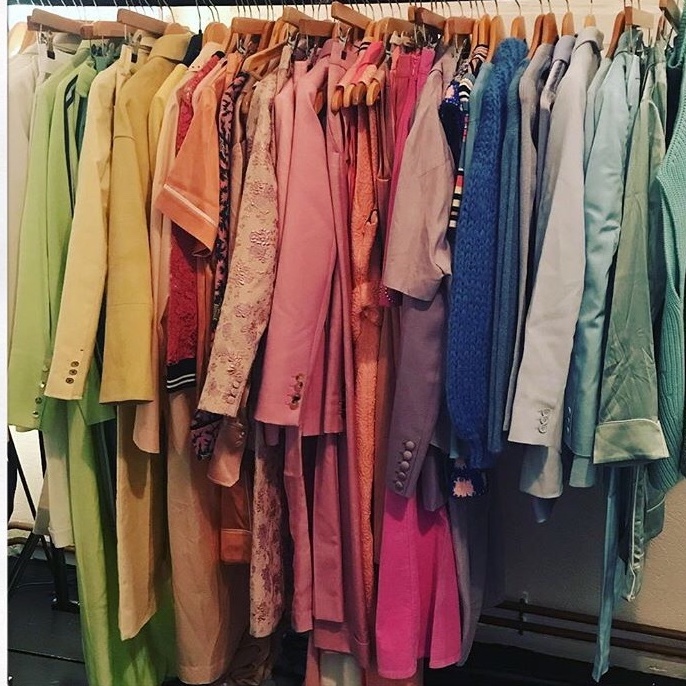 Once you have decided what to keep, as you are detoxing, put your clothes back in your wardrobe in colour order. – You can find everything you own. You know which colour its with. – You are inspired everyday with how you wardrobe looks. Good luck with detoxing your own wardrobe, it doesn’t matter what time of year it is, if you feel it needs to happen then now is the best time to start.